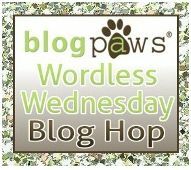 Bringing up Bella: Wordless Wednesday 79 - Is it my turn yet? Looks like she is definitely ready for it to be her turn. Woohoo!! Go Bella ;) Hope you got to take your turn! Yay Bella! I cannot imagine a more relaxed state than falling asleep! Great photo that made me smile! acd6pack here...Hooray for you Bella! So good to see you so relaxed. How sweet. Bella...just to let you know....I do that sometimes at my agility lessons.